The 2019 Summer Reading Program theme is a Universe of Stories, so we will be doing out of this world crafts on Sundays all summer long! 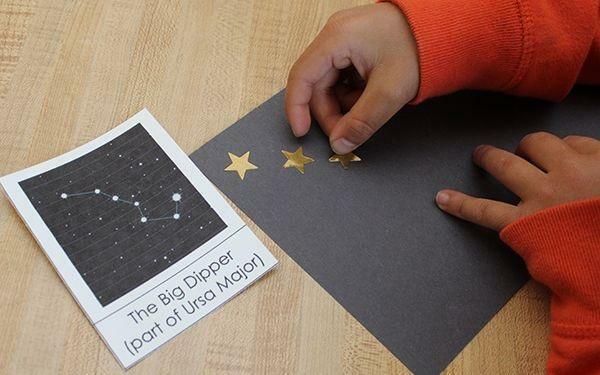 Today we will be doing a fun constellation craft for kids using gold stars and chalk on black paper. This craft builds constellation knowledge and supports the development of visual motor skills!